Patricia Jane St.John Danko. Artwork. 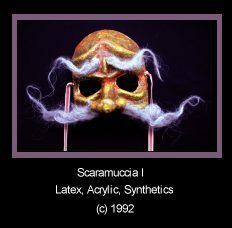 "Mask Gallery - La Commedia Dell'Arte". 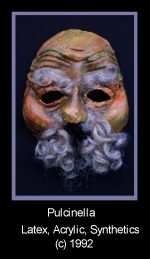 Commedia dell'Arte is the name given to the improvised, masked comedy which was popular in Italy during the 1500's through the early part of the 1700's. 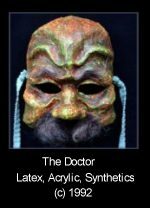 "Commedia" means "comedy," but "dell'Arte is more difficult to translate. 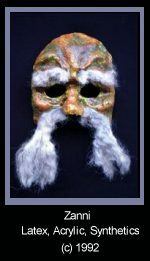 Roughly, it means "of the profession," and all the actors who took part were trained professionals, some rising to great heights of fame through their work in Commedia dell'Arte. Although the actors worked from established scenarios, each time the scenario was performed, it was different, because the actors improvised, made up their lines, and altered situations as they went along. 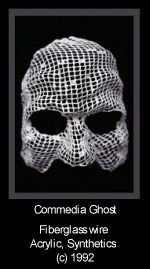 The public could see the same "Commedia" many times, and each time it would be fresh and new. Commedia dell'Arte probably originated during Carnival times in Southern Italy, but by the middle of the 1500's, professional Commedia troupes could be found playing all over Europe. Each actor in the troupe had their own special character, and played no other. Because the action and dialogue were improvised, each actor had to know not only the character played, but also a vast repertoire of monologues, quips, jokes, and conceits, which the actors kept in what would today be called a "gag book," and which was a priceless possession, handed down from generation to generation. Lovers, old men, and servants were the main characters, and each character had his or her special set of comedic traits, weaknesses, and foibles. Some of the favorite characters were Pantalone, the learned, rich, sometimes greedy, and always foolish merchant, cuckolded continuously by his wife; the Doctor, always ardently eager for amorous adventure, but also always the cuckold; and the Spanish Captain, the vain and pompous braggart and swaggerer who constantly struts around, whirling his sword and telling tales of his own magnificent glory, and who in the end is always revealed as contemptible and cowardly. 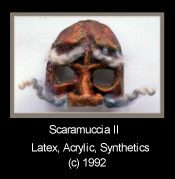 Stock characters also included the philosophical and eternally melancholic Pulcinella; quick-witted Harlequin; and Scaramouche, who uttered no words but said much, providing the model for modern mime. 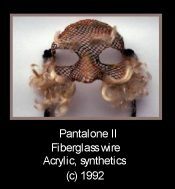 Commedia dell'Arte was the common people's source of entertainment. It was always hilariously slapstick, requiring great nimbleness from the actors, and was frequently ribald. 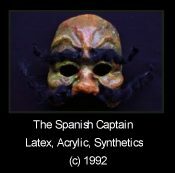 For example, some of the stock names used by the Captain were Spaccamonti (mountain-splitter), Cardone (big thistle), or Culonero (black arse). 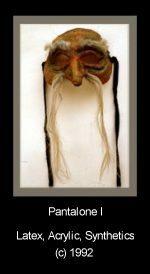 Pantalone, the "first old man" of Commedia, moved slowly, painfully bent over, and then in moments of fury proved capable of performing astounding feats of agility, followed by heavy panting and asthmatic breathing. 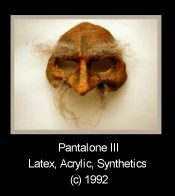 Complex and totally ridiculous backfalls were the forte of the actor who played Pantalone. Yet, the scenes of Commedia always provided great intellectual satire for the audience, frequently based on class distinctions, such as the hypocrisy of the upper classes, class division itself, for which the Zanni, or servants, provided counterpoint, expressing with knockabout mirth the woes of the downtrodden. Other favorite themes forayed into the Seven Deadly Sins, including gluttony, lust, vanity, and all the rest, turning major concerns of the day into objects of ridicule to be openly looked at, explored, laughed at, and then conquered.